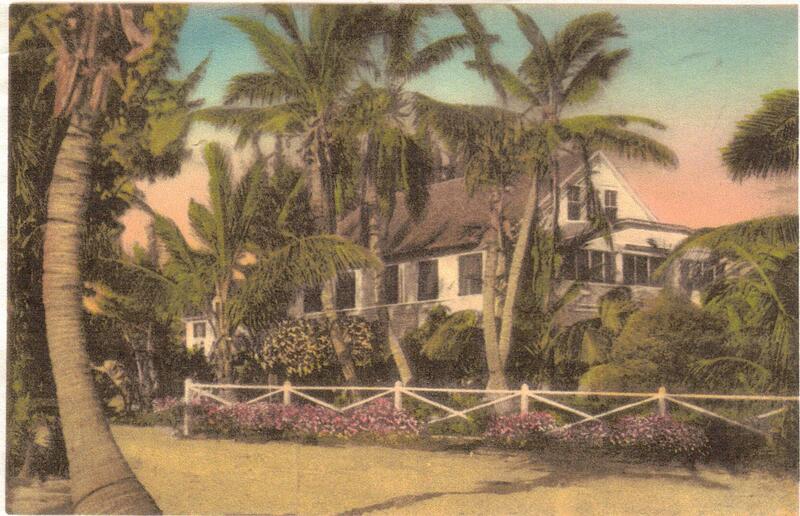 The Winkler Hotel and Pier was the first hotel on the island when it was buil in 1912. It was accessible only by boat, with patrons arriving by schooner and disembarking at the pier. 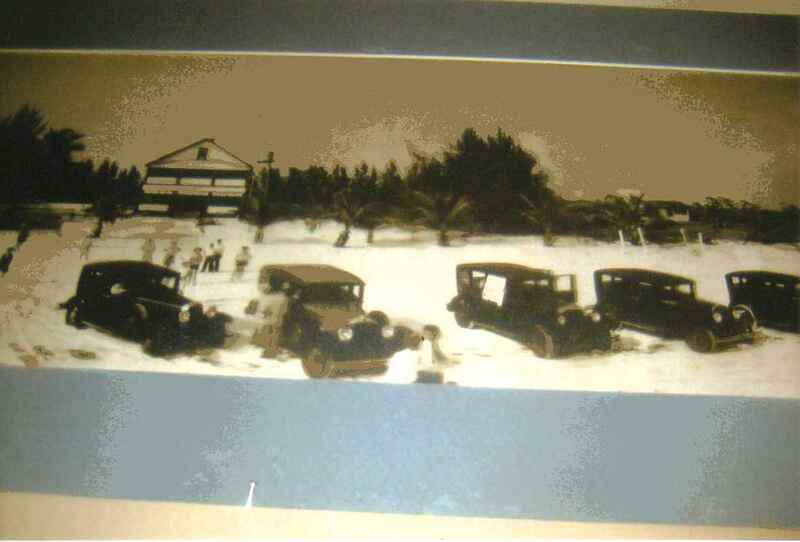 This changed when a bridge was built to the island in 1921, allowing cars to drive along the beach, and park at the pier and hotel, as seen here. 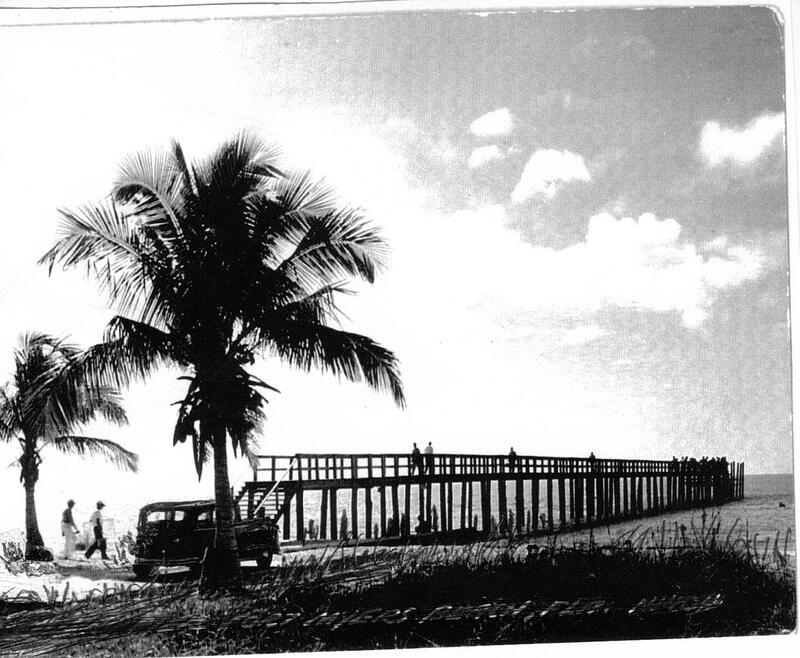 In 1926 a devastating hurricane destroyed the pier, which was rebuilt in 1930. The hotel was sold and, in 1936, renamed The Beach Hotel, a haven to the rich and famous of the times, attracting poets, artists, writers and movie stars. Meanwhile cars continued to line the beachfront at this popular three story hotel and fishing pier destination. Another hurricane washed away the pier in 1944. This time it was not replaced by the owners. It was requested the pier be relocated elsewhere, as hotel guests could no longer enjoy the quiet ambiance of their bathing beach and tranquil sunsets. Now only pier pilings remain at the original hotel pier site, which was sold in 1975 to make way for condos.